SIMON COVENEY HAS hit back at claims by the Irish Farmers’ Association that some of its members are set to lose up to 50 per cent of their income because of proposed Common Agricultural Policy (CAP) reforms. The Agriculture Minister told Morning Ireland that the group’s president John Bryan wants to keep to the status quo. “It is not surprising the IFA is upping the pressure on me,” Coveney said, two weeks ahead of European negotiations on CAP reforms, including the single farm payment system. Coveney insisted the changes will not take money from Irish farmers, but will redistribute it in a fairer manner. The Minister said that Ireland had been successful during discussions as the other 26 European ministers had changed their minds about how Ireland could redistribute payments. Original proposals would have seen every farmer get an equal payment of €270 per hectare, regardless of productivity or costs. “Last Monday, we achieved a significant victory. Ireland don’t want to give the same payments…we will be allowed flexibility. It hasn’t been finalised yet and I need time and space to negotiate it. Coveney has proposed that farmers receiving CAP payments take a 2 per cent cut so the income of young farmers can be topped up. He insisted that redistribution will happen, noting that Bryan wanted to keep the system as is. Earlier on Morning Ireland, the IFA President had accused the government of conceding too much at EU commission discussions. Bryan said the changes to farmers’ incomes could cause irreparable damage to the sector. Email “Coveney says farmers' association wants to keep the status quo”. 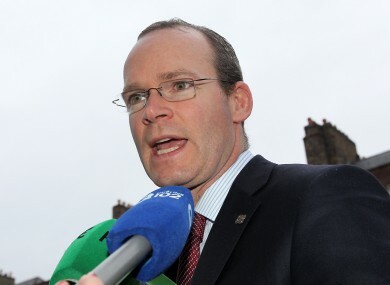 Feedback on “Coveney says farmers' association wants to keep the status quo”.